Decided to switch eCommerce platforms from BigCommerce to Oracle ATG? Optimum7 can help you make the switch from BigCommerce to Oracle ATG without any stress, headaches, or fear of losing data or sales. Our experienced migration experts have over a decade of experience streamlining eCommerce businesses just like yours. If your current eCommerce platform cannot successfully handle your growth, it will be impossible to maintain a high level of customer satisfaction; and customer satisfaction is a top priority. However, the backend of your online operations is equally important. If you’re looking to migrate your BigCommerce site to Oracle ATG, then that may mean only one thing—your business is growing! While BigCommerce can accommodate small and medium-sized businesses as well as large enterprises, it makes sense to switch to a platform that specializes in specifically optimizing enterprise-level digital commerce operations. Ultimately, a BigCommerce to Oracle ATG migration will setup your eCommerce business for long-term success. Save yourself the time and effort of trying to do everything yourself. Call Optimum7 and let us help you migrate from BigCommerce to Oracle. What kind of data can be migrated from BigCommerce to Oracle ATG? Retain all of your current and past promotions. Any information that’s related to gift cards, coupon codes, Coupon from Date or Coupon to Date, Uses Per Coupon, Uses Per Customer along with the type of discount, the discount amount, and the amount spent can all be migrated to Oracle ATG. All of the information that’s related to products reviews will be migrated over to the Oracle ATG platform. Fields such as Created Date, Rate, User name, Comment, Product, and Title are all part of the migration process. 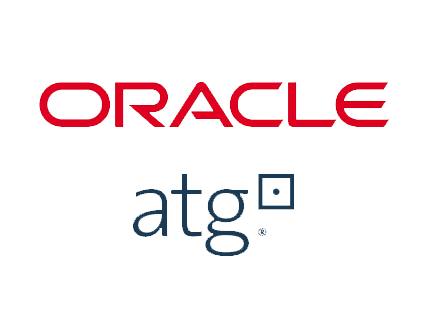 With thousands of product pages on your Oracle ATG site, these migrations must be executed carefully. If the migration is done incorrectly, it can result in multiple 404 error pages. These 404 pages could cause you to lose your rankings and authority within days and destroy years of hard work. Optimum7 staff is very well versed in Oracle ATG PPC (Paid Search), Oracle ATG SEO (Search Engine Optimization), Amazon, Ebay, Jet, Walmart, Shopping Comparison Engines, Inventory Management Systems, CRMs and all levels of integration. The security features of Oracle ATG do not include field-level security and password management. The software does not offer administrative features such as document management, estimates, and quoting. The cost of the platform is approximately over $500,000 for the first year and over $100,000 the second and third year.